Your eye examination is a vital health check. Looking after your eye care should be part of everyone’s normal health regime. An eye examination can pick up early signs of potentially blinding eye conditions, such as glaucoma. The earlier a problem is detected the greater the chance of successful treatment. Your eye examination can also detect a number of other underlying health problems, such as high blood pressure or diabetes. An eye test checks whether your eyesight needs correcting with glasses and determines the best form of correction for your vision. Good eyesight is vital for learning. An eye examination will detect any problems in sight which may be affecting performance at school or college. An eye examination for older people can improve their quality of life significantly. Everyone should have an eye test every two years. 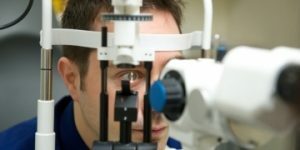 If you are diabetic you are entitled to a free eye test every year. If you notice any changes in your vision or have any concerns you should always contact your optician for advice, even if you are not due your eye test. All computer users should have a regular eye test. 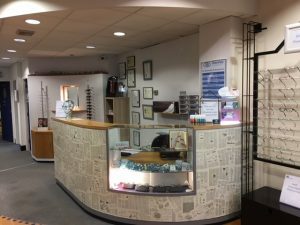 We look at the issues caused by VDU use during your eye test and give you advice to help prevent eye strain and which types of lenses and coatings will help. 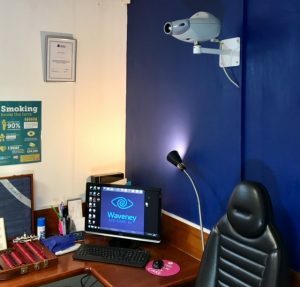 We offer great value eye care plans for local businesses who need to arrange VDU sight tests for their employees. Get in touch to find out about more about discounted sight tests and glasses for you and your staff.